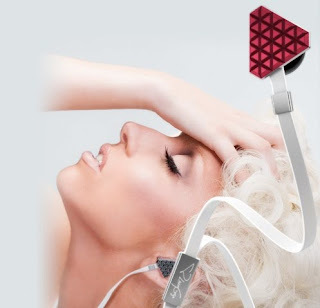 ellehermansen: Monster Heartbeats by Lady Gaga! St. Valentine shot me with some heartbeats yesterday! I have been oogling these headphones since the beginning of time, and I am SO glad I have! These are the BEST in-ear headphones I have ever owned! Dr. Dre teamed up with Monster (the best cables in the world) giving you the fullest, most powerful, extremely clear sound that no other little ear-bud could ever offer in my opinion. They also come with a cute carrying case and different ear-bud sizes to match and fit the most comfortably for you. I usually have issues with in-ear phones causing me earache and discomfort in the ear canal. These ones let my ears still breathe while still giving me the ultimate sound. The design of these little monsters are beautiful! Gaga really knows how to put her flair on things. In the future I would like to own a pair of Beats by Dr. Dre - proper mixing headphones. This man knows his stuff and I am pretty excited to try them out in the future too! I am very grateful for these! You can check out more info and purchase here. You can also purchase these at Amazon and Bestbuy.